This week one of South Korea’s top-grossing films ‘Battleship Island‘ won the Orbita award at Sitges International Fantastic Film Festival. The film competed against Takeshi Kitano’s ‘Outrage Coda’ and Taylor Sheridan’s ‘Winder River’. 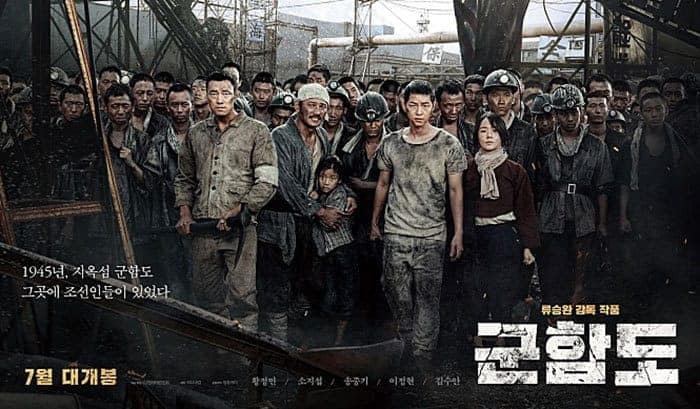 The film directed by Ryoo Seung-wan tells of desperate attempts by Korean forced laborers during World War II to escape coal mines on Japan’s Hashima Island. At the festival the 18 minute extended edition was screened which explained the relationships between characters in more detail. This year marks the 50th anniversary of the Sitges Film festival which specializes in fantasy and horror film, and takes place in Sitges, Catalonia. It is Ryoo’s third award at the festival after “The Unjust” in 2011 and “Veteran” in 2015. You can watch the trailer for ‘Battleship Island’ here.